Best Materials specializes in the finest roof repair & roof leak repair products from the industries leading manufacturers. Our roofing repair products have proven use by professional contractors nationwide. Roofing repair products include metal roof repair, flat roof repair, RV roof repair, EPDM rubber roof repair, concrete tile roof repair, clay tile roof repair, slate roof repair, commercial roof repair, foam roof repair, cap-sheet roof repair, trailer roof repair, mobile home roof repair, gravel roof repair, sun roof repair, patio roof repair and houseboat roof repair. You'll find our quick shipping & discount prices unbeatable. First locate your roof leak. For RV or trailer roofs and seam repairs and other quick and easy fixes we recommend Eternabond RoofSeal White. It's specially packaged for us in economical 50' rolls. 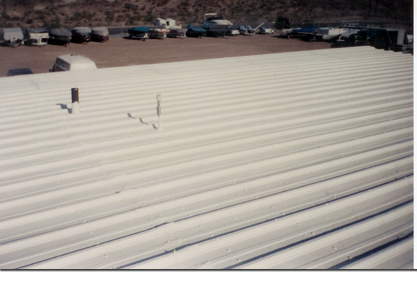 For aluminum trailer and metal roof repairs we recommend A-Seal, an aluminum faced version of RoofSeal. For Rubber / EPDM roofs use RoofMate HT (prime first). For granulated shingles and use RoofSeal Plus. For cracked or broken roof tiles, try NP-1 structural sealant. 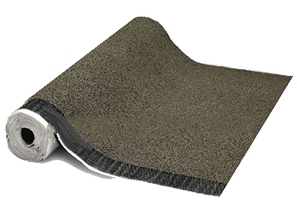 It's available in many colors to closely match your tile and provides an excellent repair. 1. Carefully, get onto roof. Proper fall protection is essential. 2. Inspect for cracks, splits, tears, or any visible problems. If you find any, they most likely will represent a leak. 3. 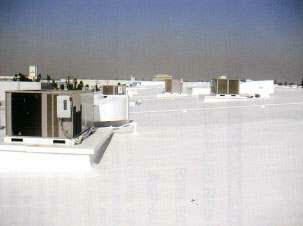 Inspect all roof penetrations (skylights, chimneys, roof vents, etc. ), to see if roofing cement or flashing still adheres. Run a nail or knife down a vertical surface. See if cement comes away from the surface. Any separation indicates a roof leak. Remember, 8 out of 10 roof leaks occur at a vertical penetration of the roof. 4. Check all places where dissimilar materials come together (where metal meets brick, shingles meet metal, etc). These surfaces expand and contract at different rates, and therefore tend to pull away from each other. Check for tight seals. A loose seal might indicate the source of your leak. 5. Also, try locating the leak from the inside. Take a strong flashlight into the attic, and try following the leak uphill. Odds are, it will originate at some roof penetration. This will indicate your leak area.